According to Ironclad Integrity Ltd (http://www.FindMyPrice.net) new reliable e-commerce service provider, will release a new Canon PowerShot G15 tech specs review and price comparison on Thursday. Find My Price announced on Friday that the company will publish a list comprising the latest deals for Canon PowerShot G15. Customers, who are not familiar with the device, can read the full product description on the company’s website together with analysts’ recommendations. 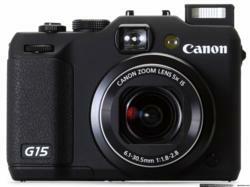 According to http://www.FindMyPrice.net report, Canon PowerShot G15 is a good deal for both professional and non-professional photographers. Online retailers like Amazon sell the device for only $449.00, but the camera is worth a lot more, according to reviewers at Find My Price. Given its great performance, editors have given readers the possibility to purchase the G15 directly on Find My Price’s website. Canon PowerShot G15 has a 12.1 Megapixel CMOS sensor and an amazing 28-140mm lens that guarantee the best image and video quality. The ISO range expands from 80 to 12800, whereas the burst shooting speed amounts to 10 frames per second. It is not only the photo quality that has been improved, but also the video capabilities; G15 records 1080/24pfull HD videos and has stereo sound. Despite the advanced mics, the zoom cannot be heard during filming. The main controls and dials of the camera have been placed on the top and the right side of the device. Although the digital camera has a bigger 3-inch LCD screen, it is still a small and compact gadget (4.4 x 3 x 1.6 inches; 12.4 ounces). Reviewers at Find My Price have described the dials of the camera as “rigid” compared to other devices in this category, but the manufacturer claims the controls are meant to be more resistant. Find My Price started in 2010 as a small website administered by a group of young tech lovers. The administers’ passion was, later on, shared by an increasing number of visitors and thus, Find My Price has become one of the most read tech-specialized websites in America. Despite their popularity, reviewers at Find My Price are still interested in delivering original and accurate content to their visitors. For that matter, new tech reviews, product descriptions and price reports are published every day on the company’s website.